And really dig in there – better to bleed now than at the dentist office. 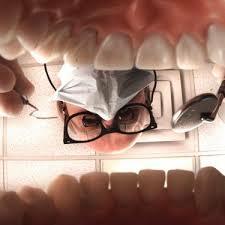 Just came from the dentist. Am Sick. Am writing this with my head in the side ways position. It wasn’t the scraping it was the flouride. This post = my life. I’m like 6 months overdue to go to the dentist but I find it hard to motivate myself when I don’t have a parent scheduling it for me. Adulting is hard. I finally remembered to book a FIRST check up for son #3 -he is almost four. Bad grown-up, bad. I know, right? And then when you try to reply, they act a little put-out to have to stop scraping. (I do love my hygienist, as much as that is possible).